Saturday, November 22nd is the 45th anniversary of the assassination of President John F. Kennedy. Moments later, as their motorcade was passing through Dealey Plaza in Dallas, shots were fired killing Kennedy and wounding Nellie’s husband, Gov. John Connally. It was 12:30 p.m.
Pres. Kennedy was rushed to nearby Parkland Hospital where he was given last rites and pronounced dead at 1 p.m.
At 2 p.m., Kennedy’s body was removed from the hospital before the coroner could examine it, a violation of Texas state law (killing the president was not a federal offense at the time and the assassination happened under Texas jurisdiction). Vice President Lyndon B. Johnson became the 36th commander in chief upon taking the oath of office at 2:38 p.m. The swearing-in took place aboard Air Force One, just moments before it took off from Love Field in Dallas. A private autopsy was performed at Bethesda Naval Hospital that evening, and on Monday, Nov. 25, President John F. Kennedy was buried at Arlington National Cemetery. The Warren Commission -- the official government report -- found that Lee Harvey Oswald, a former U.S. marine, killed Kennedy. Oswald had been arrested for killing a police officer just 80 minutes after Kennedy's assassination. However, Oswald would never stand trial. Two days later, while being transferred to the Dallas County Jail, Oswald was killed by Jack Ruby, the manager of a local nightclub. Many people harbor doubts about the findings of the Warren Commission. 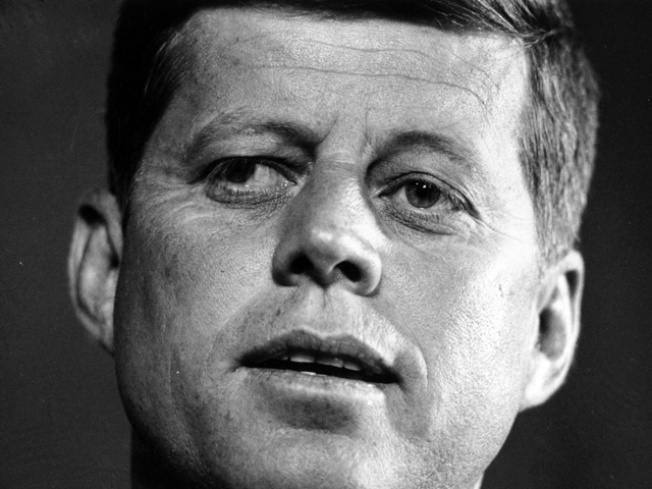 Holes in the evidence (such as the burning of the original autopsy report) and contradictions in eyewitness reports have led to numerous conspiracy theories about who was really behind the Kennedy assassination. The most well known footage of Kennedy’s assassination came from Abraham Zapruder, a clothing manufacturer who was filming the motorcade. The Zapruder film was sold to Life magazine with the specification that frame 313, which captured the fatal gunshot, would not be shown. A digitally re-mastered version of the Zapruder film includes slow-motion, frame-by-frame, and close-up renditions of the original.